This flyer was on my apartment door near the corner of McGuinness and Kent St. Saw the owners walking around squeaking a ball. 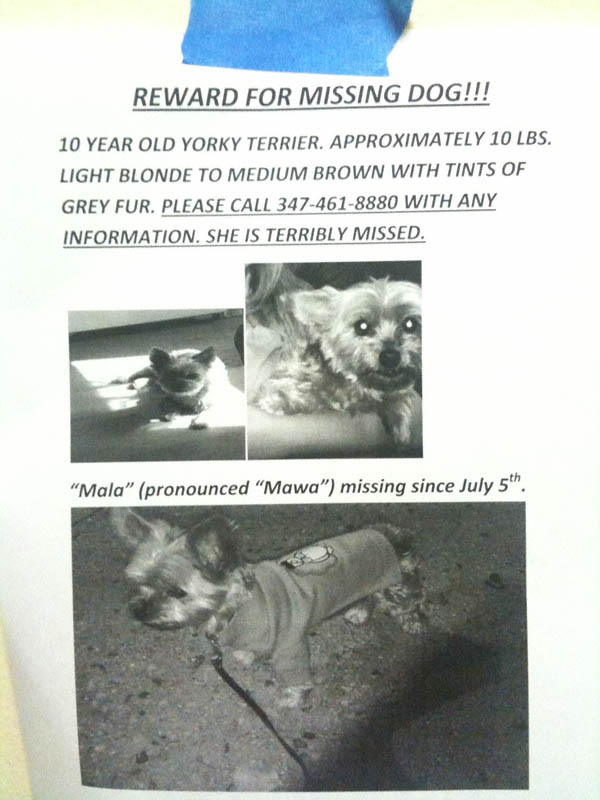 Hope we can help bring her home! I emailed dog habitat rescue also, and will follow up with any info. Thanks for your help! If anyone reading this has seen Mala or knows of her whereabouts please contact her owners at the above-listed telephone number. She is clearly missed! 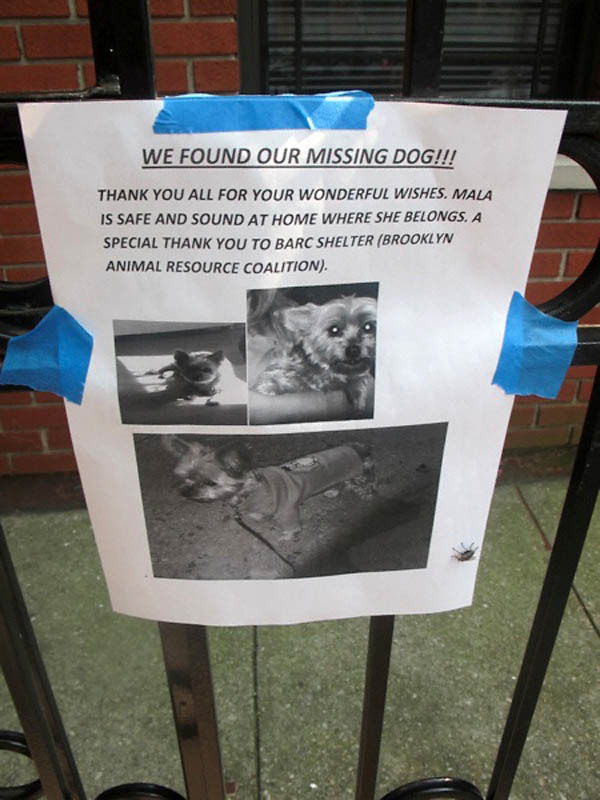 UPDATE, 6:24 p.m.: Mala has found her way home!